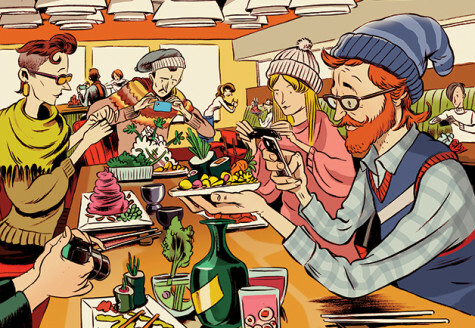 How we dine is not immune to the effects of modernization but, historically, the institution of restaurants has come to symbolize a retreat from technology—a place to shut out the noise and get back to the basics of sustaining human life. You can live without Facebook or Twitter but not without Broccoli. As we progress further into the Mobile Era, our need for basic human interaction is subjugated by our obsession with our own digital selves. It’s inevitable for that trend to contaminate the restaurant experience, and it does—for both staff and guest alike—erode the quality of our dining in ways of which we aren’t, but should be, more cognizant. Distraction is the enemy of successful dining. The dysfunction caused by it can take many different forms—sloppy cooking, negligent service, arguments at the table, or breakdowns in communication between server and guest. A great restaurant experience is emotional, not scientific. Cultivating this chemistry is like a romantic relationship—a little foreplay can’t hurt. Greeting your waiter by asking “What’s your wifi password?” is like approaching someone with “Do you come here often?” at a singles bar—no one’s getting into anyone’s proverbial pants. 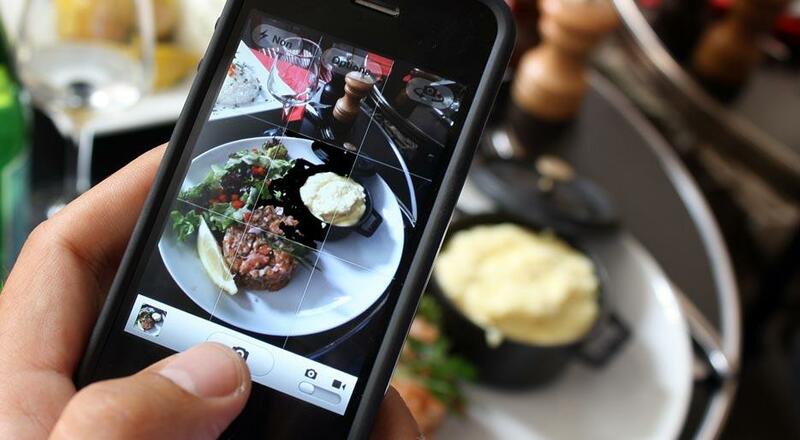 Technology changes the way we behave in restaurants and makes everything more impersonal. The less we are willing to unplug ourselves from the stream of data while we dine out, the more likely the beauty of the experience is lost on us. 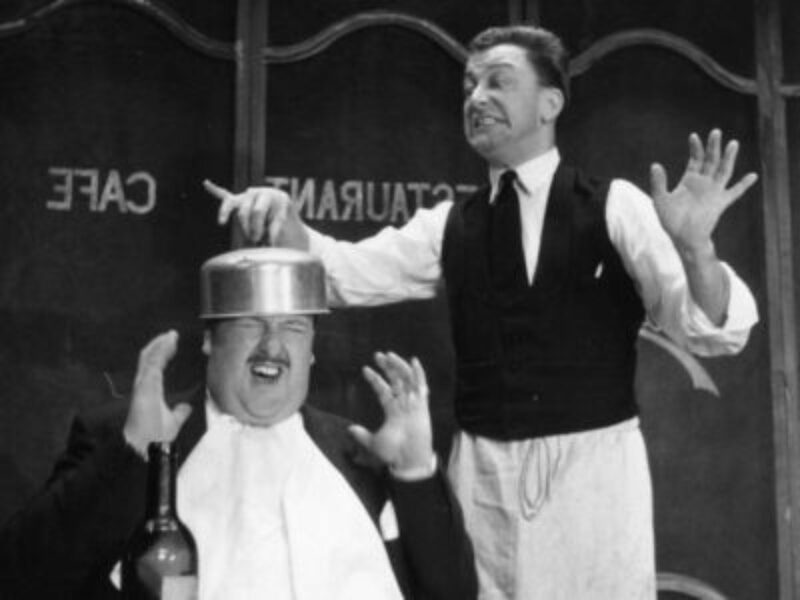 The staff of restaurants are just as guilty of their own brand of attention deficit. Imagine having to put away your smartphone for over eight hours at a time without being able to check your messages or social networks. This is de rigueur in the hospitality industry. Most restaurants frown upon cellphone use during service, for obvious reasons, but it can be difficult to enforce. We’ve all been in a restaurant desperately needing something from our server while he’s hiding in the back checking his cellphone. This is all to say nothing of how smart devices have changed our relationship with food itself. Where we once felt lost in a restaurant with an esoteric menu, now we can save ourselves the embarrassment of asking a question with a botched pronunciation and just Google it. Of course, Google’s algorithms won’t convey the charming diatribe about the chef’s recent trip to Amalfi and how it inspired his recipe for traditional Cioppino. There’s really no need to solicit the waiter for his recommendations either, because you’ve already vetted the menu online, scouring pages of Yelp reviews and food critic favorites. Finally, the moment of truth! The food arrives and we reach for our phones before our forks. The moment must be Instagrammed, Tweeted, and Hashtagged before anyone can disrupt the mise-en scène. We can’t eat until everyone we know can digitally share in the glory of the moment. In fairness, our hearts are in the right place. It shows we have an elevated respect for great food. And we’re right, the moment deserves to be preserved, but at times we turn it into a fetish. At some point, we must learn to trust the simplicity of memory to canonize a great meal. Enjoying food is a sensory experience, and the finest meals are best served on a plate not a touchscreen.